A news report, and some gruesome pictures associated with it, recently caught my attention. I had not heard about the turtle population in Pakistan for many years now, and was somehow under the impression that steps taken by government to ban poaching and export had resulted in significant protection of the turtle habitats. Well, according to the news item, a study conducted by the WWF-Pakistan at the Taunsa Wildlife Sanctuary concluded that that the turtle population not only faces brutality at the hands of poachers, but is also under threat of extinction. Unlike many other topics that people in our country love to discuss around chai-time, protection of wildlife, and in this case turtles, has never gained popularity. The result of our collective social apathy towards the issue has resulted in significant loss of wildlife, and endangerment of precious species. It is understood hat the various body parts of the turtle, especially the fresh water turtle, have become ‘hot export items’. 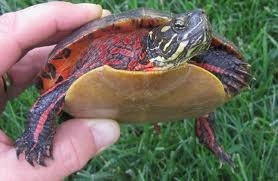 Fisherman in Sindh and Punjab are found illegally hunting turtles and in some cases, a turtle is killed for a mere payment of 2 to 4 US dollars. The bulk of turtle exports, worth millions of dollars, are destined for Thailand, Singapore, Hong Kong, South Korea, China and Taiwan where the soft shells and chest pellicles of the turtles are in the manufacture of Traditional Chinese Medicines. The practitioners of these medicines believe that the turtle shells are highly effective for purifying blood and curing many diseases. Ofcourse the illegal hunters are not the only source of the problem. 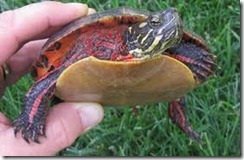 For example, the most commonly found turtles along the beaches of Karachi are known as Green Turtles. They are one of the seven marine turtles found in the world, and are the largest species of marine turtles after the Leatherbacks. It is Pakistan’s unique treasure that a significan percentage of the world’s green turtle population lays their eggs and builds their nests on the beaches of Sandspit and Hawksbay, on the shores of Karachi, and in Jiwani, a coastal town in the western part of the Makran Coast. These turtle populations are in grave danger because of significant human footprint in their eco-systems. Excessive construction of beach huts and other buildings along the beaches are destroying some of the habitats used for breeding. Pollution, especially from the picnickers, is another major problem on the beaches in Karachi. People go for picnics and outings and carelessly dispose of their garbage, which usually includes plastic bags, on the shoreline. During high tide, the water takes the garbage along with it into the sea. Green turtles usually eat jellyfish, which resembles the plastic bags, and hence, these turtles literally eat the bags and die!